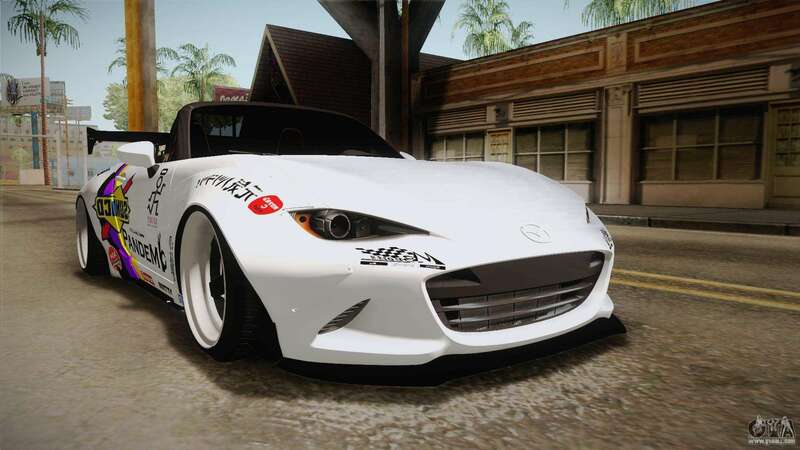 Mazda MX-5 ND Pandem 2016 for GTA San Andreas. 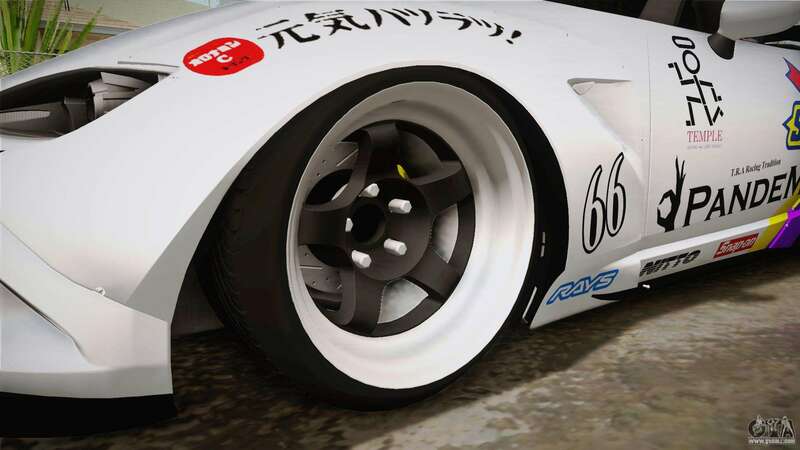 If You decide to start your racing career, then first You should get a good car. 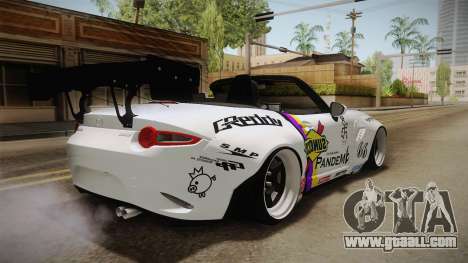 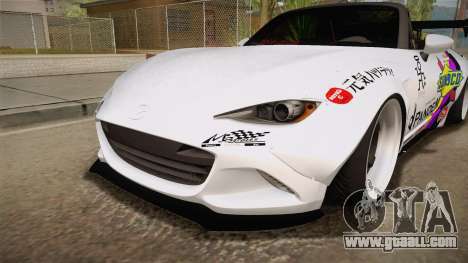 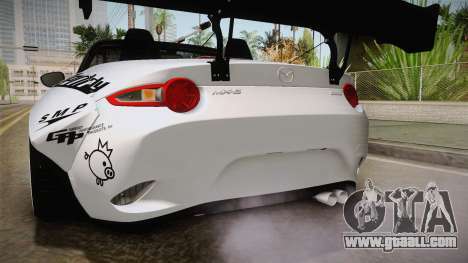 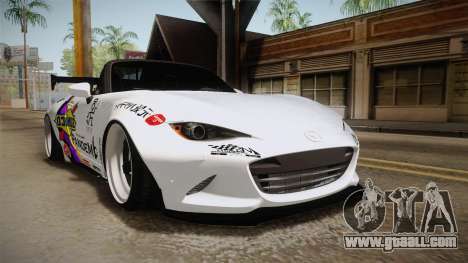 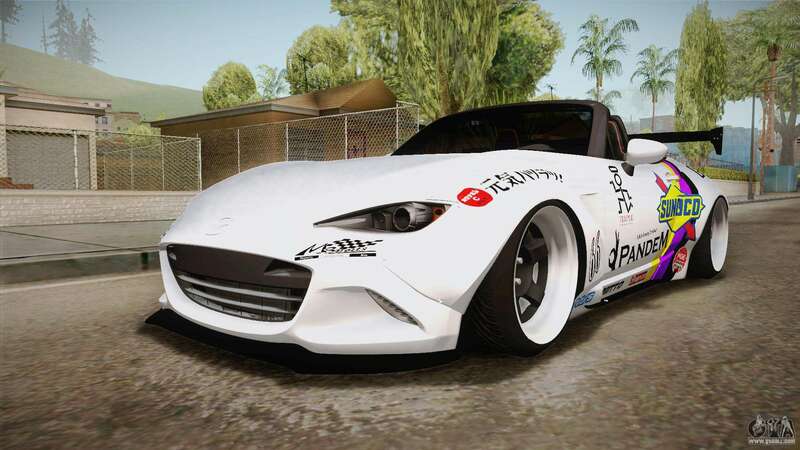 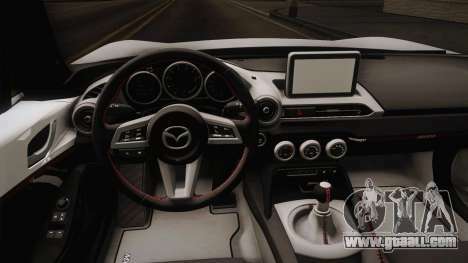 Free download mod Mazda MX-5 ND Pandem 2016 for GTA San Andreas the links below. 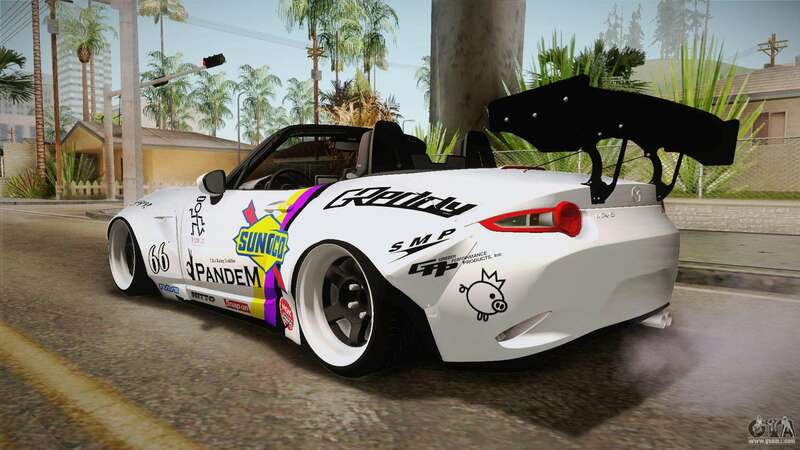 The model replaces the Banshee, but thanks to our installer you can replace any game model!